Windows Phone 7.8 is coming to current Windows Phone devices in coming weeks and many have been wondering what features does it come with apart from the new homescreen. 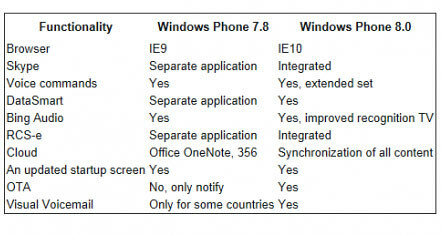 Well, the guys at WP7Forum.ru have posted a comparison table of features for both 7.8 and 8. Do note that these guys have mixed reputations when it comes to rumors and leaks. 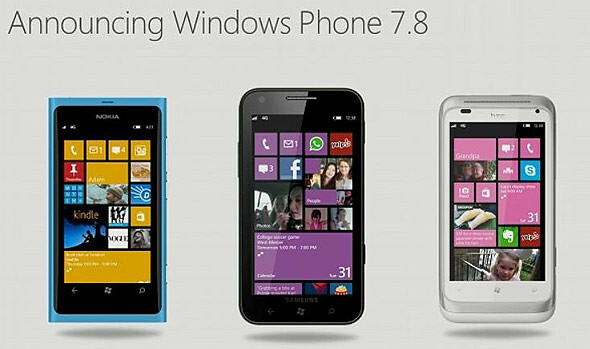 Microsoft has not revealed any features for both 7.8 and 8 yet apart from the ones here. So these details might just be some predictions (or not?). So while we wait to see the real thing, watch this video of the new homescreen which is DEFINITELY coming to everyone’s WP devices.